People with high self-esteem and confidence believe in their ability to achieve. They trust their decisions even if they make mistakes. They learn from their mistakes, pick themselves up after a mishap, and keep doing their best to have a happy and fulfilling life. And you know what? They succeed! They do have happy and fulfilling lives. What do they do that makes them so successful? What do they have that others don’t? What strategies and behaviors do they employ? What’s different about these people? No, they’re not born that way! Confident people are acutely aware of their emotions and thoughts. 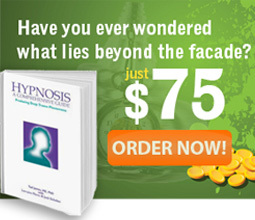 In other words they are aware of their Limiting Decisions or Limiting Beliefs as well as of their patterns of thoughts. Usually they focus on what they want to the exclusion of what they don’t want. They are not at the effect of others, and don’t spend time blaming the outside world. They don’t envy other people and don’t suffer of the ‘crab in the bucket’ syndrome. They model other successful people and keep on improving until they feel confident enough again. They know it is their personal sense of achievement that gives them self-confidence. Self-confidence cannot be given to you. You create it for yourself through your own successes. Confident people have a plan. 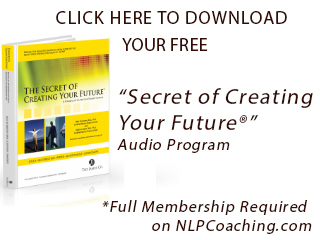 They know what they want (and this is one of the first things we learn in NLP – Know your outcome! ), make a plan of how to get there, and work that plan. They take action. They don’t wait for the “right time” or the “right circumstances”. They take action every day towards fulfilling their plan. Confident people avoid the negative feedback loop. This does not mean they don’t care about the opinions of others, but they have an internal frame of reference with an external check (this is one of the 21 complex meta-programs we learn in the NLP Master Practitioner training). They are self-motivating, and self-sustaining. They also have little need for being victims, or blaming others for their own “misfortune”. They don’t look down on other people and when they compare themselves with others they do it in the spirit of learning from others and bettering themselves. Confident people make good use of all the resources they have – inner resources and outer resources. When they feel they don’t have enough resources they’re willing to learn new things. They don’t feel embarrassed to ask questions or search for advice or information. They acquire new resources as need comes. Like the Phoenix bird, they reinvent themselves at a new level and they refuse to quit. They usually focus on finding a solution not on the problem itself. Confident people have a good decision making strategy. They make up their mind quickly but not impulsively. They don’t need “hand-holding” at every step. They are not afraid of making mistakes. They learn from their own mistakes, and proceed with optimism. They focus on what is in their power to change and not worry very much about the rest. They use their energy on things that move them forward in life. Confident people prefer to resolve their problems quickly and efficiently. They understand that problems lingering in the background rob them of the energy they could use for other positive projects. Although they respect others in their environment and are not rude or uncaring, they prefer a truthful and open talk than a gossip from behind. Confident people understand that at the very moment they set a goal, they also create the obstacles. It is simple: if you don’t have goals you don’t have any obstacles but also you’re not going anywhere. Confident people are not afraid of obstacles. They know that it is not the achievement of the goal that counts as much as the process of getting there. This is where the most learning and growth happens. They know the basic presupposition of NLP – “there is no failure, there is only feedback”. Yes, you can call this a reframe, but confident people have this as a mode of thinking. This is how they remain confident in spite of failing at times. Confident people don’t limit themselves to what everybody else does. They are happy to try on new things – they use their creativity to invent new ways of doing things, and make use of any and all their strategies testing their effectiveness. They work with what gets the best results in terms of time and effort. Confident people know that there is not only one single way of thinking. There is not one single way of getting to their goals and objectives. They are willing to be flexible and change the way they operate based on the Law of Requisite Variety (another one of the presuppositions of NLP) which says that “the most flexible behavior ends us controlling the system”. They also know that they are the only person with the power to decide what “confidence” means. NLP Master Trainer, Hypnosis Master Trainer and NLPCoaching Master Trainer. She is the author of the book Values And the Evolution of Consciousness - a book about how to take advantage of the massive changes which the world is going through and Time Line Therapy® Made Easy - an introduction to Time Line Therapy® techniques easy to master by everyone. To read more about Adriana go here. Confidence in knowing myself has greatly motivated me in obtaining the rapport required with my world internally and externally to achieve results i want, just as this article has describe. Brilliant article. Thank you Adriana!